In the Kingdom of Zephram, everyone is magical except the Royal Quadruplets, Tom, Lizzie, Ned and Nell, much to the chagrin of their parents. They are shunned by the other children because they do not have any special powers, except that when evil Prince Persius steals the magic Golden Ball and everyone in Zephram loses their powers, the quadruplets come to the rescue with ordinary skills that aren't so ordinary when viewed from a different angle. My 10 year-old daughter loved this story. The beginning starts a little slow but it picks up right after Prince Persius shows up and the four siblings take action. 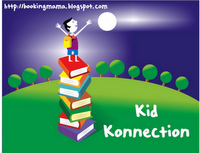 Although we don't know the age of the children—my daughter and I guessed between 10 and 12—the author does a great job of developing their different personalities, emphasizing their uniqueness through their dialogue and actions. Any tween could relate to them because they talked and acted like tweens. The quadruplets had to hatch a plan to save their kingdom and as they met obstacles along the way, cooperated together to do it. Today, most fantasy books focus on kids or adults with special powers, but Susskind does the opposite by taking four ordinary kids and showing how they were special because they were ordinary. And what is ordinary to begin with? When everyone loses their magic and is lost without it, the quadruplets discover they have skills far more valuable than magic. 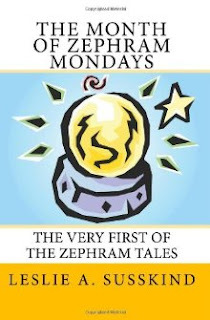 The Month of Zephram Mondays is a fun book for any middle-grader who loves a good fairy tale with a twist. The tale continues in The Tale of Time Warp Tuesday, which my daughter now wants to read. I'm glad there is a sequel so your daughter can continue to enjoy the characters and story. I bet this would have been a hit at my house too! Sounds like great book. Makes ordinary sound wonderful. Have a great day!